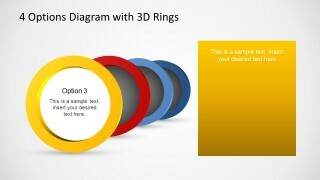 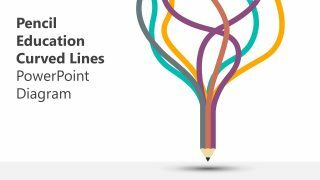 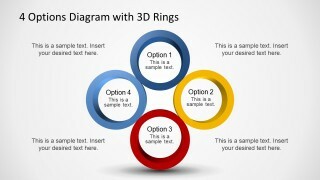 Add some color to your presentations with the 4 Options Diagram Template for PowerPoint with 3D Rings. 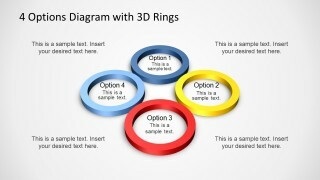 You can use the 3D layout of four rings to present four different aspects of a topic in perfect harmony. 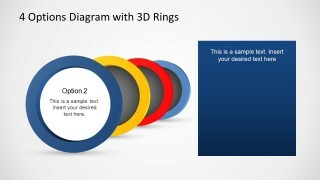 This template has been professionally designed for making presentations by depicting multiple dimensions of a topic within an easy to understand 3D layout. 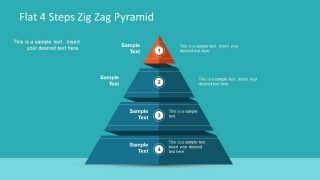 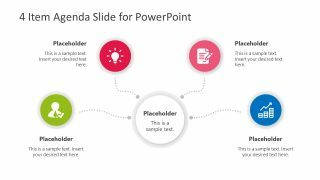 The ring shaped slides are good enough for making anything from generic presentation slides with text and images to PowerPoint timelines, comparison slides, picture layouts with four rings, business diagrams and the like. 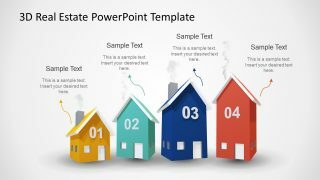 Also see our vast collection of amazing 3D PowerPoint Templates.